The state of Arizona is probably most well-known for the fact that its hosts the Grand Canyon, one of the greatest wonders of the world. From hiking expeditions, to camping, as well as exploring the rivers throughout, the Grand Canyon has a piece of beauty and serenity to offer just about every age group. In fact even children can delight in the wonders of this gigantic canyon filled with valleys, wildlife, and many who come from near and far to explore. The Grand Canyon boasts a railway and train that still is used for many purposes. 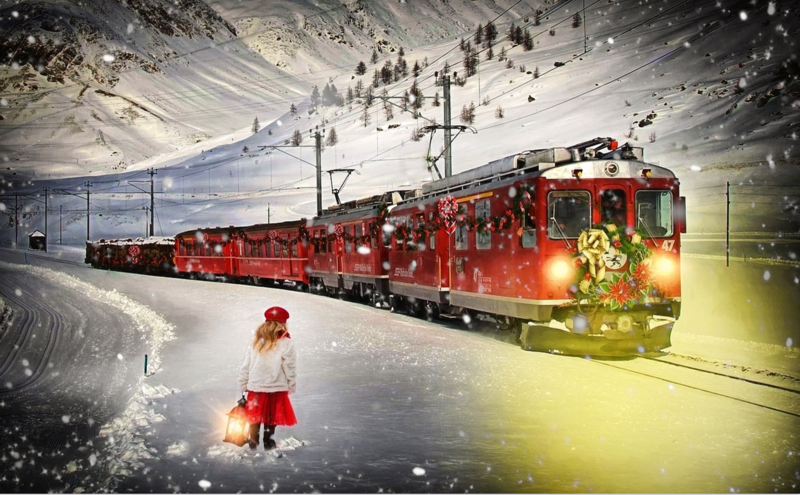 One purpose being the Polar Express Train adventure that is offered throughout the months leading up to and including Christmas. 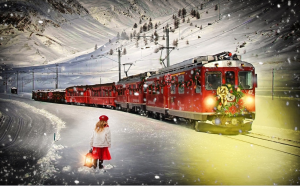 The Polar Express is a grand train adventure for all ages that follows the story of the classic children’s book written by Chris Van Allsburg. It begins with a light show spectacular at Williams Depot, in Williams, Az. Next passengers board the train for a 90 minute voyage, which takes them through the magic tunnel to the North Pole. Upon arriving at the cozy Christmas decorated Santa’s Village, Santa himself and his top Elf Bernard greet all the children and welcome them to the Village. When the visit to the North Pole is complete, Santa boards the train with all the passengers to make the journey home with everyone. While aboard the train Santa makes his way through the cars and isles and talks with every child as well as gives them his special little gift of a jingle bell! The jingle bell represents your belief in the magic of Christmas. It is definitely a winter adventure that all can enjoy!. For those of you that want to extend your adventure, there are different packages offered that feature food and lodging at the nearby Grand Canyon Railway Hotel. Although this Christmas extravaganza goes on from Nov-Jan tickets sell out fast and many of the preferred dates and time slots become filled. To get a head start tickets go on sale starting in July. These tickets do sell out fast though, so it is recommended that your pick your dates and purchase tickets early. Whether you are fully grown and still enjoy the magic of Santa and his elves, or simply want to take your family on a memorable adventure that will forever stay in their hearts, the Polar Express at The Grand Canyon is by far one of the best adventures Arizona has to offer!